Bell Farm is just past the northwest border of Camp Bell. Bell Farm consists of a large silo directly next to a barn. Primarily food chests spawn in the barn. Fresh spawns commonly die here, so expect many player zombies mixed in with the already large amount of zombies. It is unprotected by fences/walls so zombies can flow through from all sides. If you have made contact with bandits, it is a good idea to go to the top of the silo. If you have a bow you can kill them easily before they reach the top. Using a sword you can knock them down dealing fall damage. A good way to get food here is to get a hoe from Portsmouth and then break the wheat/melons then server hop. Many new players come here, some may be bandits, so watch your back. 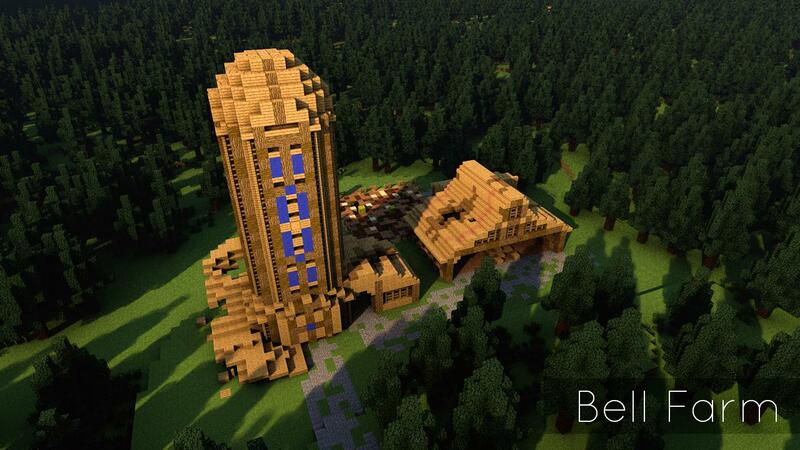 Old Render of Bell Farm. 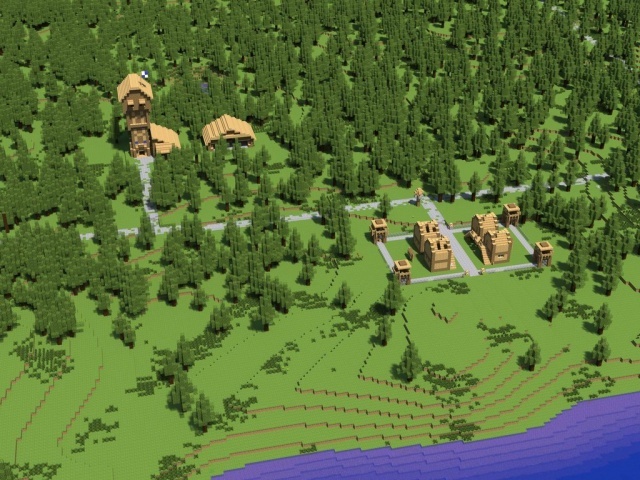 Camp Bell and Bell Farm, 2012 Render. AquaIsAquatic, Soular and NoHacksUrJustBad like this.